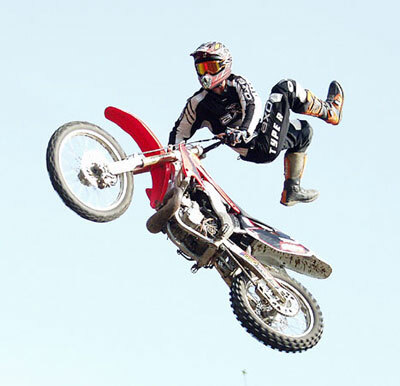 A staple at most Monster Truck events and Fairs across the country ― Freestyle Motocross shows are an exciting, death defying performance. Each rider wants to be called number one and does whatever it takes to claim the title. 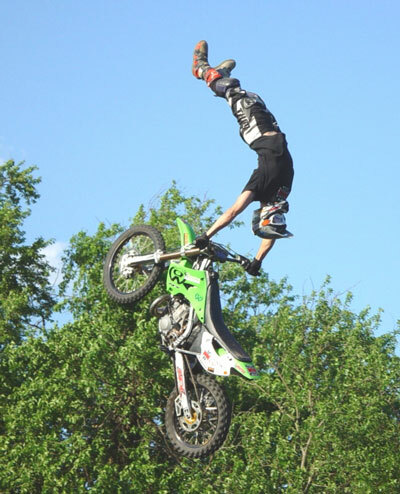 We have several expert riders in our employ across the country capable of performing the aerial tricks seen on the X-Games such as Nac Nac’s, KOD, (kiss of death) Lazy Boy, and several others. They can jump ramp to ramp, or ramp to a groomed pile of dirt. 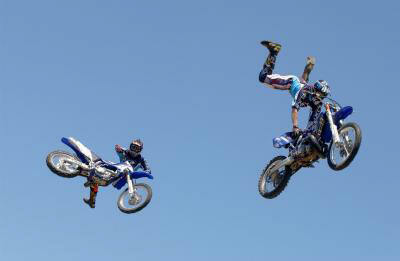 Set up is quick for Freestyle Motocross exhibitions, as is the break down if you wish to run this show in conjunction with another event you may have going on at the same time. 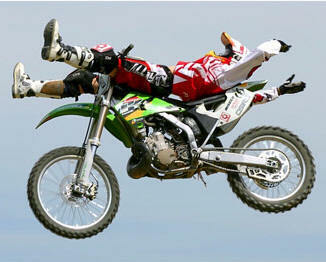 We usually bring four to six riders for a Freestyle Motocross performance. We usually run three guys at a time and have one extra should someone break down. Freestyle Motocross shows can run from filler acts like fifteen minutes to a full freestanding show of up to one hour. 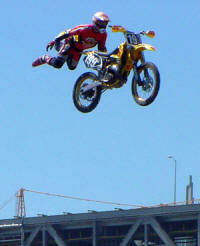 A Freestyle show can be run in conjunction with another event you may have going on at the same time to break it up. This allows time to do repair work, maintenance, or just give a short rest period to someone else. Our men are expert riders and act professional at all times. They are more than happy to sign autographs and answer questions for all the fans.